Access Design Group can provide contract support services to design and construction firms who experience a backlog of work, tight deadlines or require a seasoned professional to mentor junior designers. By utilizing our contract services, you are under no long-term commitment or hiring obligation and work can either be assigned as a project or task. The design process is about having a problem, creating the solution and developing a plan to graphically deliver that solution in an appropriate amount of time, and always keeping the "big picture" in focus. From schematic design through construction documents, ADG can assist you with assuring graphic standards are met, industry standards are incorporated, the solutions are accurately described and deadlines are met. We can provide production management, technical details, project manual writing, consultant coordination, FFE selections, quality control reviews and design review meetings. 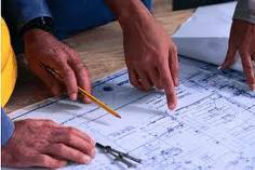 In addition to the design phase, Construction Administration and Project Management services are also available. These services can include: Submittal reviews, client management, field/progress reports, responding to RFI's, revising drawings, reviewing pay requests and change orders. We have experience with various building types, uses and occupancies that range from medical clinics to specialized governmental facilities, dormitories, tenant build-outs, educational, food service, office spaces, secure facilities, historic properties, re-roofing and envelope analysis. Please see our Project List under the Portfolio tab to learn about the variety of projects we've worked on. Access Design Group is an ADA specialist and can provide plan review for ADA guideline compliance.